Vitamin C (aka ascorbic acid) is a vitamin that is present in different foods and an essential nutrient involved in helping the body form and maintain connective tissue, including skin, bones, and blood vessels. It’s also a popular dietary supplement that is taken to help prevent scurvy, improve immune function, and lessen the duration and symptoms of the common cold. Just add filtered water to activate this mineral facial mist, which is refillable for up to a year. Infused with vitamin C ceramic mineral, this creates a pH balance on skin, in addition to moisturizing and hydrating properties. Hydrogen water is also shown to be beneficial for UV-induced skin cell damage. Can also be used as a makeup setting spray. This replenishing treatment deep conditions, hydrates and restores dry hair to its natural state of vibrancy and health. Ingredients include jojoba seed oil, which penetrates the hair follicle to fill in the cuticle surface and strengthen hair, and vitamin C, which assists in hair growth, repair and reduction of free radicals. 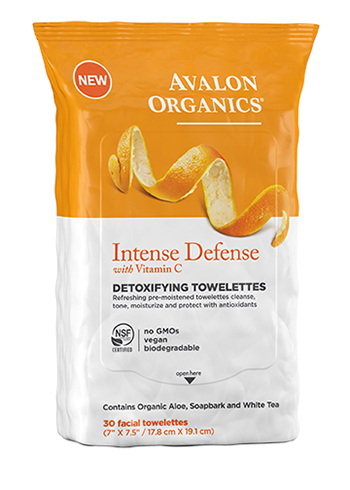 Cleanse skin and remove makeup with these sustainably-sourced, biodegradable towelettes that are saturated with pure botanical cleansers. Skin is left fresh, balanced and free of residue. Includes vitamin C, white tea and lemon bioflavonoids to defend skin and support its renewal cycle. Get skin glowing with these vegan supplements that kickstart skin’s radiance by providing essential vitamins A, B6, C, D, E and K. Helps defend, tone, and protect skin with super herbs matcha, goji berry, grape seed, turmeric, and golden-serpent fern. Vitamin C Elixir is an extraordinary 2-in-1 hybrid of natural oils and serum concentrated with pure Vitamin C. This Elixir will deeply nourish the complexion and leave your skin replenished and rejuvenated. Featuring wild harvested Kakadu plums, which contain on average 55 times the vitamin C of Florida oranges, this mask provides gentle surfacing exfoliation and leaves skin smoother, brighter, and softer. Amethyst clay absorbs impurities and detoxifies without removing natural oils. 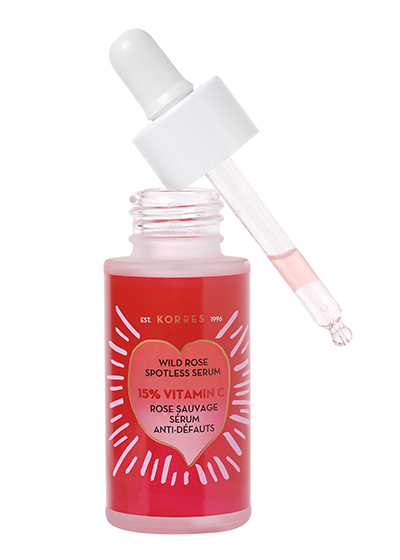 This high-performance vitamin C serum works with skin’s own defenses to brighten and firm. Advanced bio-technology fuses ultra-stable vitamin C and Palmitoyl Tripeptide-5, helping to dramatically reduce the appearance of fine lines and wrinkles. This effective active cosmetic serum contains a unique 20% stable vitamin C derivative and helps to protect against the visual effects of premature skin aging due to oxidative stress. Promotes a smoother, more elastic and even-looking complexion, while promoting skin elasticity. This potent, cream-gel mask harnesses the natural power of vitamins C + E with a boost of nourishing vitamins for the skin. Contains a cocktail of citrus, rhubarb extract, leafy greens and avocado oil forms that help reduce the appearance of sun damage, fine lines and wrinkles. Visibly transform skin's clarity with a high dose of vitamin C in this powerful antioxidant serum, which provides daily anti-pollution and environmental protection while strengthening and brightening skin. Great for all skin types, it helps to prevent signs of aging, neutralize free radicals, and protect from pollutants entering the skin. The advanced brightening and antioxidant serum helps aid against the appearance of photo-aging and free radical damage, while leaving skin feeling hydrated and looking radiant. Works to boost skin moisture and calm skin’s appearance, increases radiance, improves appearance of skin color and tone, and minimizes the appearance of fine lines. Perk up eyes, decrease dark circles, and reduce fine lines with these revitalizing eye masks that contain collagen and various minerals such as vitamin C to rejuvenate the delicate area around the eyes. Made with nourishing watermelon extract, which has vitamins A, C and B, this facial oil provides all-day hydration for a bright, glowing complexion. Also protects against environmental damage and free radicals to protect skin, leaving it feeling moisturized, soft, and glowing. Hydrate and balance skin with rare Prickly Pear seed oil and hyaluronic acid. Vitamin C and Resurrection plant promote youthful, even skin tone as a wealth of plant extracts aid radiance and keep skin supple. 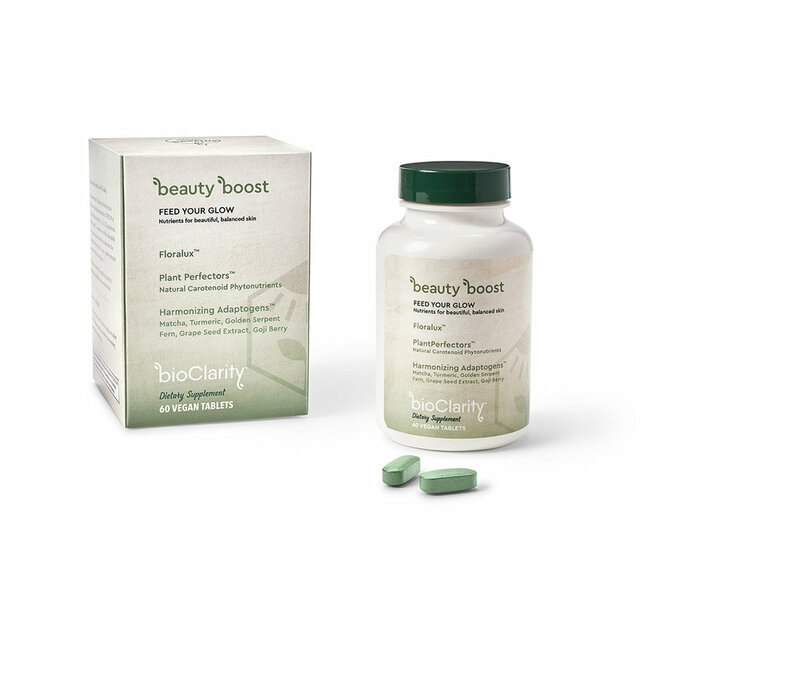 Extracts of watermelon and seaweed rejuvenate and soften skin while working to protect from environmental stressors. This overnight treatment has a triple mineral complex that energizes the skin for a revitalized look. The gel-texture delivers water to the skin and locks in vital nutrients during sleep. Blue-green algae extract, a natural retinoid alternative, helps to smooth skin and diminish wrinkles. Hematite and malachite provide unique mineral radiance for stressed skin. 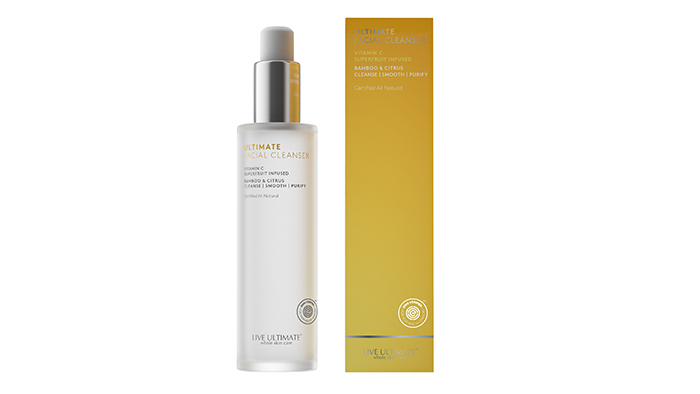 This non-drying facial cleanser is crafted with a medley of vitamin C ingredients and antioxidants to gently remove grime, makeup, and daily pollutants to reveal clean, clear, and glowing skin. This treatment serum gives skin a burst of hydration, helping to restore a brighter, smoother and more youthful looking complexion. Blood orange peel and ascorbic acid naturally give skin a potent dose of vitamin C while aspen bark gently exfoliates to leave skin looking luminous. This powerful, ultra-hydrating serum delivers multiple anti-aging benefits. Designed to enhance the absorption of five active ingredients, skin feels firmer and smoother, lines and wrinkles look visibly reduced, and the appearance of age spots and redness is visibly diminished. Patent-pending Microbiome Balancing Complex also replenishes your skin’s moisture barrier to protect against environmental age accelerators. Provides deep nourishment to the skin, specifically developed to meet the needs of lackluster complexion and to protect the skin from environmental toxins. At the heart of the formula is 15% STAY C, a stable form of vitamin C, powered by the anti-aging powerhouse Reishi Mushroom for greater absorption. Anti-aging multi-tasker hyaluronic acid attracts and binds moisture to skin, protects from free radicals, soothes inflammation and reinforces the skin barrier, leaving complexion hydrated, plump and renewed. This powerful 15% vitamin C brightening bi-phase serum reduces the appearance of dark spots, dullness and skin discolorations for spotlessly luminous skin. Formulated into two phases: the top oil phases brightens and evens skin tone, while the bottom water phase minimizes the appearance of skin discolorations. Formulated with 10% pure vitamin C, hyaluronic acid and antioxidants, this wrinkle cream visibly reduces the look of fine lines and wrinkles. This ultra-light cream formula also targets the signs of dullness and uneven skin tone. Enhance your skin's healthy glow with the Vita C Daily Skin Mask developed by the Korean skincare experts at LAPCOS. Using only the finest ingredients and advanced beauty technology, this sheet mask contains Vitamin C to boost skin vitality and help calm and nourish the complexion. This invigorating lemon-scented facial cleanser gently scrubs and polishes with ultra-fine bamboo silicates to remove impurities without stripping the skin of moisture. Citrus and superfruits brighten skin tone and protect against damage, while healing botanicals soothe and repair the skin for a refreshed and radiant look. This highly concentrated serum is packed with high-performing ingredients that work together to firm and smooth the skin with every application. Its replenishing formula includes an antioxidant-rich blend of argan and tsubaki oils to address loss of firmness and moisture, Holy Basil extract helps protect skin from environmental stressors and smoothing vitamin C ester to smooth and strengthen the skin for a more youthful appearance. Fake the look of a full night’s sleep with this brightening, vitamin C-rich eye crème. It’s the ultimate multi-tasking essential for Daylight Saving Time as it reduces the look of dark circles while improving concealer application and wear. This plant-powered serum takes a triple action approach to help boost skin dulled by stress and environmental elements. Using two potent sources of vitamin C, synergistic C boosters–organic green tea and Vitamin E–and a clinically proven botanical active, help to increase luminosity and nourish skin for a more radiant, even-toned complexion. This hydrating eye cream visibly smooths under eye wrinkles with a concentrated blend of five replenishing ceramides, four forms of brightening vitamin C, two peptides and clinically proven retinol. Intensely hydrates, firms and brightens the eye area while reducing the look of deep wrinkles. Advanced antioxidant formula diminishes dark spots, soothes irritated skin and reduces signs of aging. Strengthens, smoothes and protects skin with 20% vitamin C, 5% vitamin E, 1% hexylresorcinol and 1% silymarin. This rose toner refines refreshes, and plumps skin. Made with flower extracts and vitamins to soften and tone, this formula revitalizes and adds a healthy glow to all skin types. Pamper skin with this luxe oil that features a combination of supercritical extracts such as calendula and turmeric, as well as pure organic oils including jojoba, almond, apricot, sunflower and honeysuckle. Softens and refreshes skin while rejuvenating and repairing. This luxurious age-defying moisturizer dramatically reduces environmental damage, helps support natural dermal collagen, repairs skin structure and brightens a tired complexion. Featuring Madara’s proprietary Cell Repair Bio-Complex that directly targets collagen formation, supports lifting and protects against free radicals. Reformulated and repackaged, the new CoQ10 Eye Recovery Concentrate now includes jojoba derived super-ingredient L22, which mimics the lipid profile of your skin at 22 to support a firmer appearance. A cooling new metal applicator helps reduce puffiness and increase microcirculation, which helps to reduce dark circles. Potent botanical complex Glycablend is clinically proven to reduce collagen breakdown, while advanced hyaluronic acid and caffeine help brighten and hydrate the delicate skin around the eye. Inspired by phototherapy, this cream-mask restores the skin’s original radiance and luminosity. Its formula combines a vitamin C derivative with a refreshing molecule to reveal an incredibly radiant and brightened skin appearance right after the first application. This brightening serum is packed with a high concentrate of strawberry-derived vitamin C for noticeable radiance, hydration, and more even-toned skin. Inspired by Marilyn Monroe’s beauty hack of rubbing strawberry stems on her skin, this upgraded DIY hack evolved into a luxe serum for a brighter, hydrated complexion. Daytime moisturizer glides on beautifully to moisturize skin and prep it for the day, then gets out of the way so restorative anti-aging ingredients can go to work. Contains Bakuchiol, an edible 100% natural substitute for retinol that shows the same efficacy without the drying, redness, and UV issues.